Teacher vacancies in Moray have almost halved during the last year with a “positive message” about the region praised for making the difference. Children across the region are returning to school today after the summer holidays. Yesterday, Moray Council revealed that vacancies in the classroom have dropped to 28 vacancies – the lowest reported at the start of term for the last three years. However, further initiatives, including a new recruitment video, are being planned in order to reduce the number even further in an attempt to ensure children get the best education possible. 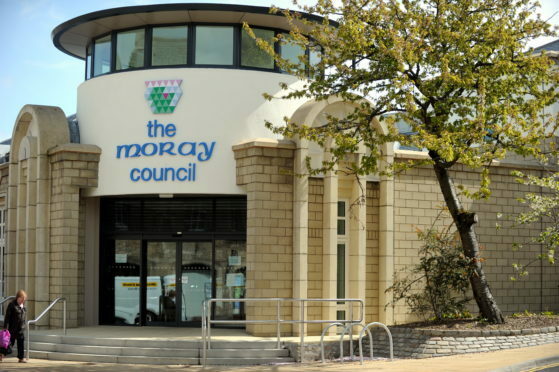 Moray Council’s acting director of education and social care, Graham Jarvis, confirmed that vacancies are nearly half the 42 that were reported last year. And despite being upbeat about the huge decrease in vacant posts, Mr Jarvis warned the total may creep up to “just over 30” by the end of the week. The number of vacancies at the start of the school year can fluctuate during the first days of term due to a variety of factors including changing budgets, more pupils with extra learning support needs and upcoming maternity leave. He said: “Moray is in a significantly better position this year than in 2017. “We’ve been working hard to promote the benefits of the area to prospective teachers through advertising and other direct promotions. Recruitment in Moray has been boosted during the summer with a haul of 46 newly qualified teachers (NQTs) who will be working in the region for a probationary year – an increase of about 10 from last year. Despite the reduction in teaching vacancies, the council is continuing to consider alternatives to drive the figure as low as possible with primary school head teacher posts and science and maths vacancies in secondary schools proving hardest to fill. Overseas recruitment, halting lessons at some locations and a review of the entire school estate remain under consideration by education bosses. Sonya Warren, chairwoman of the council’s children and young people committee, insisted that efforts would continue despite the drop in vacancies. She said: “This is good to hear. Obviously the message is getting through that Moray is a great place to live and work.